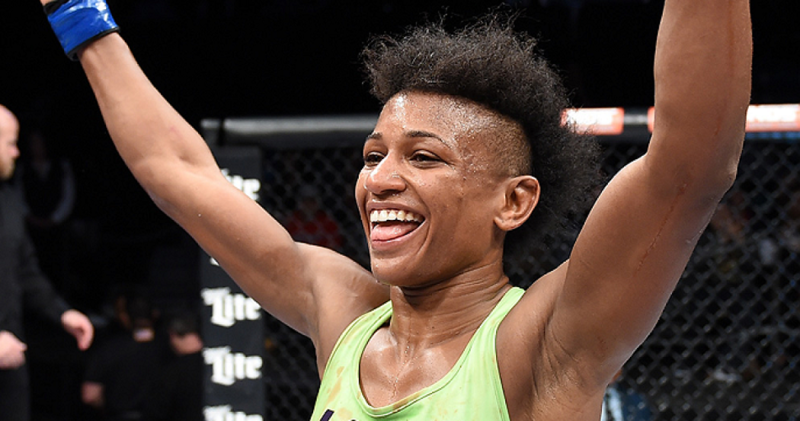 Angela ‘Overkill’ Hill (6-2) did not have the most successful run in her first stint in the UFC but will get a second chance when she returns on just three weeks notice to fight Jessica Andrade (15-5) at UFC 207 in Las Vegas on December 30. Since departing from the UFC in 2015 Hill earned the Invicta FC strawweight title, most recently defending her title last month, racking up four wins in 2016. Hill was a cast member on the Ultimate Fighter Season 20 but fell short in her first fight on the show. She only had one professional mixed martial arts fight going into the show before being defeated by the eventual show winner and first ever UFC women’s strawweight champion Carla Esparza. From there, Hill returned to the live finale to defeat Emily Kagan, but then dropped two straight bouts to top contenders Tecia Torres and Rose Namajunas. Hill gets the call back to the UFC to replace Maryna Moroz against Andrade later this month. Andrade, a former UFC women’s bantamweight dropped down to strawweight after a loss to Raquel Pennington last year. Andrade has won two straight at 115 pounds, one over Jessice Penne and then Joanne Calderwood.